Congratulations to Braxton Neal, a 6th grade student here at Newberry Middle School! 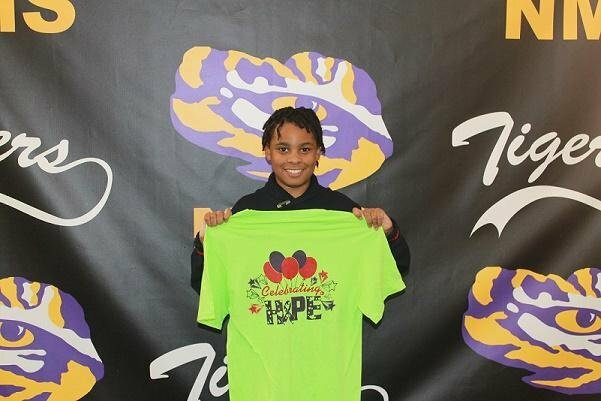 Braxton won the Relay for Life T-Shirt Design contest for our region. Out of 172 entries from students in Newberry, Abbeville, McCormick, Greenwood, and Edgefield counties, his design was selected as the 2019 Fundraiser Shirt! Mr. Hoyt Dorn, Executive Director, presented Braxton with the official t-shirt and grand prize of $200 on Wednesday, November 28th.